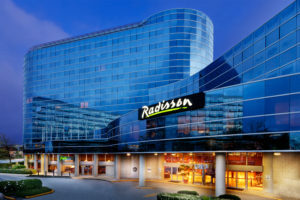 Our travel routine is to take the first full day at a new destination to explore and learn our way around the area. Yesterday we spent the day exploring Curacao. We set out with our map headed to the West End of the Island to check out some of the beaches. Because we didn’t rent the GPS on our arrival day, we got lost for a short time, but sometimes that can make the day more exciting! We stopped by a little bakery in the West end province of Phlip, to ask for directions and to sample their baked goods. The owner spoke only Spanish, and between our broken high school “Spanglish”, (and google translator), we were able to figure out where we were on the map, as well as purchase a few egg free treats for the kiddos. “La alergia a los huevos” – A reminder that as a family, we need to work on being fluent in a second language. Sometimes getting lost in a new area allows you to experience small local places that you might not find otherwise. We enjoyed a guava filled pastry and peanut treat that was similar to peanut brittle, while the kids had a cookie made of sugar and milk. Exploring Curacao Tip: Start early – Curacao is a long Island and has spots of congested traffic on the main roads. We found our way to the North West side of Curacao to explore some of the beaches along the coast, and quickly realized we should have packed lunch. A couple of the beaches we would have loved to enjoy did not have food or drink nearby. We ended up at Playa Lagun Beach where there was nice dive shop and restaurant. We had really good lunch of the local catch of the day and a homemade fish burger. I had a major “mom fail” and forgot beach towels (an integral item for little kiddos who freak out when they get their “eyes wet”). Luckily, the Dive shop had “Curacao map” towels that have become the souvenir purchase for this trip. Pack water and lunch to enjoy a full day at beaches without a restaurant or drink service. The beaches are beautiful but several are a bit rocky – take water shoes. Some beaches have chair rentals for as little as $5 and others have a minimal entry fee. Most of the beaches have some shade via trees, thatched umbrellas, or tiki style huts. Shore diving is available through local guides from almost every beach. Apply sunscreen generously throughout the day. 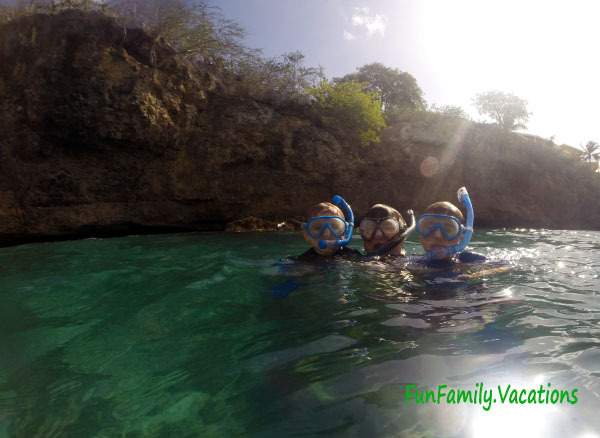 We had a great time snorkeling at Playa Lagun Beach. There were tons of beautiful fish within about 50 yards from the shore along cliff line. Tip: On a clear day at Playa Lagun you might find sea horses hanging out on the right side of the cliff. 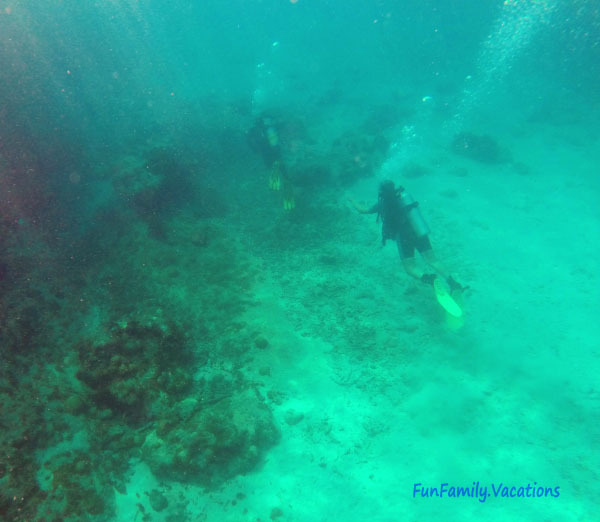 It was fun to watch the divers swimming out underneath us too! Watching the Divers swim out from the shore. On the way back to The Limestone Holiday, we found a few grocery stores. We stopped by the Cost-U-Less, but found they had a bigger selection of toys and gift items than food items. Great for locals, bad for us. We ended up at the grocery store, Vruegdenhil, recommended by Roel here at The Limestone. This was a nice store with a great selection of organic fruits and vegetables and lots of European and American brands. 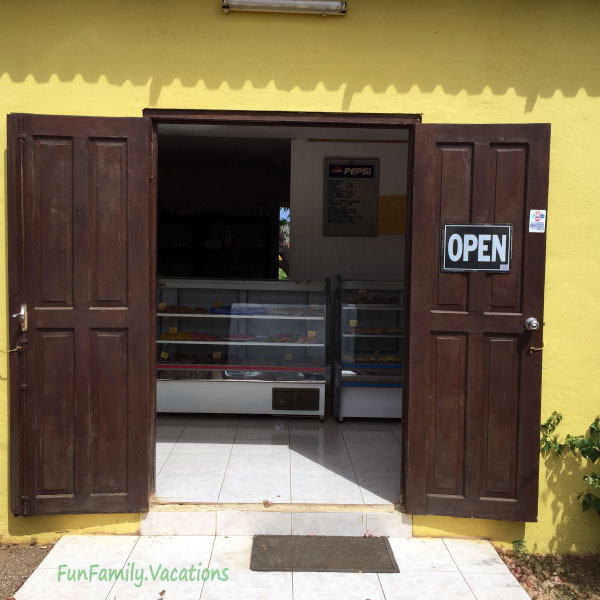 Compared to other Islands we have visited, the food prices in Curacao are very reasonable. All prices are displayed in Dutch Guilders, however you can use U.S. dollars or a credit card and they will charge you in US Dollars. Tip: If paying with U.S. dollars, you will receive your change in Dutch Guilders. However, some places charge a surcharge of 5% when using credit cards. 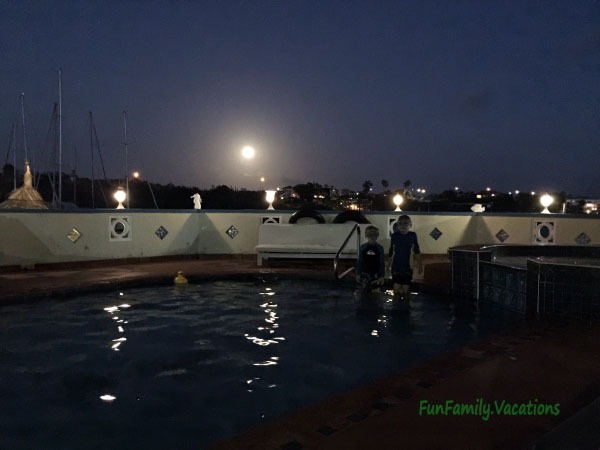 We enjoyed the rest of our evening in the pool at The Limestone. It was very peaceful, only the sounds of the breeze, a few boats entering the Marina, and a dog or two barking in the distance. It was the perfect ending to a fabulous day of exploring Curacao. As I write this it is Thanksgiving Day in the U.S. I am thankful to have such an adventurous family. A family who is ready to go on the next adventure at the drop of hat. A family who tries new things, new foods (sometimes with a little coaxing), and truly enjoys being together. I am also thankful to have opportunities to work with great locations through this blog, like The Limestone Holiday. 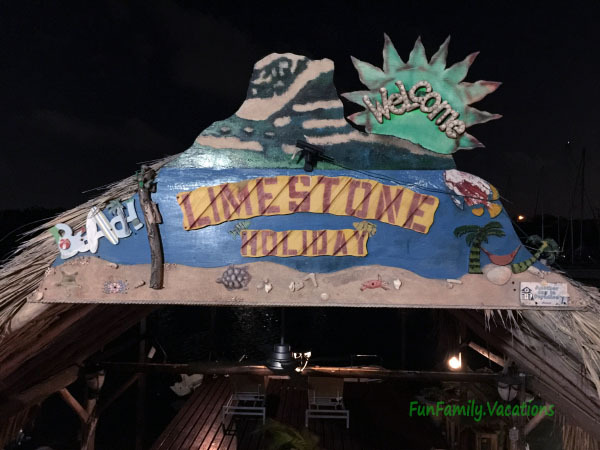 We are having a great time here in Curacao and look forward to spending our Thanksgiving Day enjoying the pool and beach here at Limestone. Thankful for these crazy boys! Disclaimer: This travelog is partially sponsored by The Limestone Holiday. All opinions and reviews contained are our own. Post contains affiliate links. I am SO jealous!! You always have great travel posts. I live vicariously through you while reading Lol…also…Wahoo for dinner?? YUM!!! Looks so fun! Great place for a family vacation. Fun! My family & I are big travelers as well. I have never been here though. It looks divine. Wow, this looks great! My kids would love this – adding it to the list!